Although some devices are still receiving rollouts of the Android 4.1 Jelly Bean update, others such as the Nexus 4 are beginning to receive Android 4.2.2. When The Android 4.2 Jelly Bean operating system recently arrived Google didn’t supply an extensive changelog. However you can now see every change since Android 4.1 as all of the Jelly Bean 4.2 new features have now appeared in a detailed changelog. This changelog will be a great help to the many Android device users trying to fathom out what has changed since 4.1 as all of the things that have changed are clearly marked with a ‘New’ tag in red. 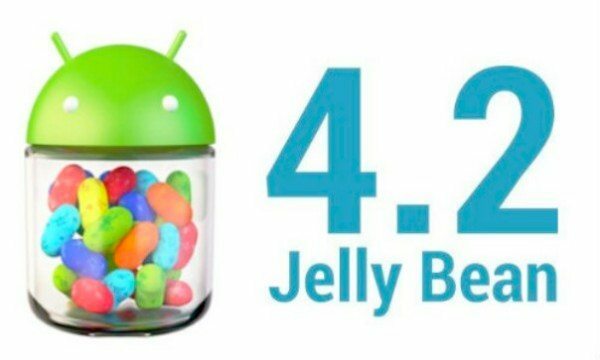 Although the latest update is still Jelly Bean don’t be fooled into thinking 4.2 is a minor upgrade as there are many changes and improvements listed. The full changelog is separated into categories and the categories that have new features since 4.1 are Accessibility, Camera and Gallery, Clock, Graphics, Internationalization, Keyboard, Lock Screen, Messaging and Talk, Networking, Phone, Settings, System, Google Search and Google Now. Under Google Apps you’ll also find new features listed under the categories of Calendar, Gmail, Maps, Google+, Chrome, Google Play Music and finally Google Play movies. Remember these are just the sections that contain new changes for 4.2 since 4.1. Just some of the changes you’ll notice are a completely redesigned camera app with new tools, Photo Sphere for taking 360-degree images, a new-look clock with digital or analog style and full HDMI mirroring with notifications and multi-display support. There’s also a new Gesture keyboard, the ability to place widgets on the lock screen of your device, group messaging support via MMS, improvements to WiFi Direct support, new voice search and much, much more. To read full details and see the complete Android 4.2 Jelly Bean changelog head to this Android.com page. When you’ve taken a look we’d really like you to come back and let us know what new features you’ve discovered that you most look forward to from Jelly Bean 4.2? If you are lucky enough to have a device that has already received the 4.2 Jelly Bean update has the list helped you unearth more changes than you’d previously noticed? Let us know with your comments. 4.2 was really glitchy on my son’s nexus 7, but just downloaded 4.2.2 and it is perfect, well done android! This nexus 7 is hyper quick! Have been living in a parallel universe with android 4.2 for several months now. Ordered a Google Nexus 10 which I received before Christmas and which was, frankly, really quite amazing. There were a few minor glitches but have had 4.2.2 now for a little while. It really is quite superb! The biggest problem that I have with your very interesting change log page is that the manual for the Nexus 10 only describes the 4.2 version and it seems really rather difficult to find out how to use many of the facilities it has. Even in the original manual the only mention of either camera is in the specification page. There appears to be nothing about how to use it, what it does et cetera. So basically Android 4.2.2 is an absolutely stunning OS-if only I could work out how to use the impressive list of capabilities that it now seems to have. As a hard-core nerd I expect to have to work for this but it is very difficult to find these things out as far as I can tell. Two problems that are worth mentioning. The battery recharge time is very long (many hours with the screen off). The more serious problem is very inconsistent Wireless connection. With a strong signal (4 bars on the symbol) it randomly disconnects and often appears to switch off Wi-Fi altogether. It can then take 5 minutes to reconnect after trying literally a dozen times. My Samsung phone (Galaxy S3 with android 4.1.2) absolutely never disconnects. The same thing happens with the wireless system at work so I’m pretty certain that this is an android 4.2 problem. In practice it means that about 50% of the times I wish to use it I find it has disconnected. It is becoming quite a serious problem when I find I am putting down my tablet so that I can do the same thing on my phone! One other thing worth mentioning with the Google Nexus 10 is that although I ordered a 32 GB unit I can see no evidence at all of there being more than 16 GB on my tablet. It says 13.05 GB total space! Cannot imagine that it manages to lose another 16 GB without mentioning it at all! now discover that I got a 16 GB tablet for the price of 32 GB tablet!